The best travel jobs that can earn you money while you’re on the road. This is the most extensive list of travel jobs that you’ll find anywhere online. When it comes to travel, there tends to be many motivating factors, but only one major hurdle… money. You want to travel the world full-time, explore the unknown, meet new people, experience new cultures and taste new cuisines, but all of these things cost money and those costs can add up quickly. Dariece and I started travelling back in 2008 and ever since we left our home country of Canada, we scoured the planet for the best travel jobs. We wanted to find jobs that could pay us money while we were travelling so that we never had to return home to work a regular 9-5 again. Free 101 Travel Jobs Ebook: We also have a version of 101 Travel Jobs in an ebook. Click Here to download for free now. It’s beautifully designed and downloadable in PDF format so you can take it anywhere! We’ll also send you emails to teach you how to earn money on the road so you can travel forever. In our ultimate job hunt, we personally worked dozens of different jobs including bartenders, volunteers, English teachers, and eventually we landed on the ultimate travel job… running a travel blog. But in our quest we have interviewed dozens of travellers who have worked all sorts of travel jobs all over the world. This blog that you’re reading is dedicated to finding ways to earn money online so that you can travel / live abroad for as long as you want. We eat, sleep and breathe travel and our entire life since 2008 has been committed to finding ways to sustain our travel addiction and share it with the people who read this blog. In this post, I’m not keeping any secrets. I’m going to share with you all of the best travel jobs that you can find on the road, but I’m not just going to list them. I’m going to tell you where to find each job, what the jobs entail, what requirements there are, and perhaps most importantly, what each travel job pays. I want to make it easy for you to leave your 9-5 job and (if you don’t enjoy it) never return. We are living proof that your amazing vacation, gap year or world trip never has to end. We’ve been at it for 10 years and today we get flown around the world on all expenses paid trips while earning upwards of $20,000 per month! Sounds too good to be true? It’s not, read on to see what travel jobs you can earn good money from while on the road. NOTE: Dariece and I have personally tried, or interviewed someone who has experienced all of these jobs. For any jobs where we haven’t done them ourselves or know someone who has, we used online surveys and salary data collection tools like PayScale to come up with the average income earned and the earning potential for each job. This blog post is over 15,000 words long and covers each job in depth! This research has taken months and the post took dozens of hours to complete. If you like the post, all I ask is that you share it to your social! It really helps us to spread the word and help others find cool travel jobs so they can travel more. Thanks! Share This Epic Post If You Love Travel! What Makes a Good Travel Job? To me, the best travel jobs are those that offer you freedom and flexibility. While there are plenty of great travel jobs that still require you to work 9-5 (like teaching English, working at a hostel, working at a restaurant etc. ), the ones you’ll want to look for are travel jobs that allow you to choose your own hours. That’s why I’ve decided to break down this list of the best travel jobs into different categories. You can jump to any one of these categories below if you’re interested in a specific type of work. How Much To The Best Travel Jobs Pay? 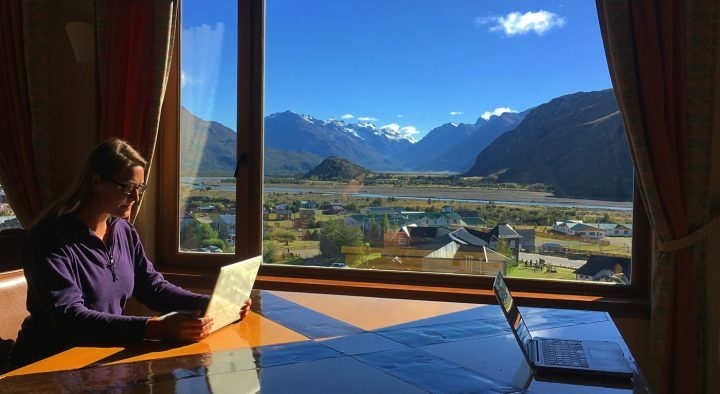 In our own personal experience and the experience of the many people who we’ve interviewed for this article, we’ve found that the best travel job (travel blogging) can pay upwards of $20,000 per month. We personally earn that much from this blog, but know many other travel bloggers earning far more. Most travel jobs won’t pay this much. Cruise ship workers, experienced English teachers and social media stars probably earn the next best salaries. Your main goal with a travel job shouldn’t necessarily be about how much it pays though. You should make sure that the line of work you choose makes you happy, is fulfilling and is something you’re passionate about. This list has 101 different travel jobs that can earn you money while you’re travelling. I strongly recommend that you read and consider each one. Many of our readers decide to try numerous jobs at a time. Many of these jobs don’t require very many hours per week, so you can do a few at the same time and maximize your profits. I really can’t help but to sing praise about this amazing job. When we started this blog just a few years ago, we didn’t know the first thing about blogging. We had heard that it was possible to earn some money from it and we knew we loved travelling, writing and photography, so we gave it a shot. We weren’t professional photographers in any way, we had no prior writing experience and we didn’t know the first thing about blogging and yet, in just a few years we grew this blog to be a money-making, travel-supporting machine and we couldn’t be happier! This lifestyle is so amazing that we’re always telling the readers of our blog and the followers on our social media accounts about it. We love it! Companies contact us to fly us on all-expenses paid trips, we earn a good income while only working on our laptops 10 – 15 hours per week and we get to travel and live abroad full-time (at the time of writing this post, we’re living in a pool villa on the water in the Caribbean). There’s a lot to travel blogging though. Learning how to start a travel blog is easy. These days, you don’t even have to think of a domain name right away (ie: www.yourdomainname.com). But building a blog to the point that can earn money takes time. That’s why we’re offering a Free Beginners Blogger Course for anyone who starts a blog through this step-by-step guide. If you’re interested, click the links, follow the steps to create your own blog and we’ll teach you how to set up WordPress and grow your blog quickly (many of our students have earned free travel and an income in as little as 6 months). Sponsored Content: Most blogs start this way. A company basically contacts you via email (or you reach out to them) and asks you to write a review about their product or brand. They pay for this review and the link to their site (between $200 – $750 USD / article). Affiliate Sales: Instead of getting paid for the link, a better way to arrange payment is via commission. Affiliate marketing is when you link to a product or service from your blog and when one of your readers makes a purchase through your link, the company tracks it and sends you a percentage of the sale. Banner Ads & Direct Advertising: Basically running ads that are placed around your blog, when someone views an ad, or when they then click / purchase, you get paid. Currently there is a company called MediaVine who provides the highest paying ads. You’ll see them once in a while on this blog. Even though we hardly show any ads, we’re still able to earn $2,000 – $3,000 / month just by having these ads on our site! Brand Ambassadorship: A brand asks you to continuously use their product / service and write about it, and they pay you a monthly salary. Press Trips: This is literally GETTING PAID TO TRAVEL THE WORLD. A tourism board or tour company invites you to their country to write about your experiences. They do this because your blog has large numbers and they want to introduce your readers to their tour or destination. The deal typically includes flights, all transport, food, travel and entertainment for the duration of the trip and you can charge for your services on top of this (upwards of $10,000/ two-week trip). Tourism boards even invite bloggers on trips who haven’t grown a huge audience. They often choose based on quality of content rather than numbers. The reason I’ve gone so into depth about travel blogging is because we think it’s the ultimate travel job. It’s clear that because you came to this post, you love travel! Well travel blogging encompasses everything travel, offers you free travel, you can get paid to travel and you can share your travels with the world. Once you learn the skills, they are also transferable to other travel jobs. You’ll find that many of the jobs on this list can branch of from your main travel blogging career, which is another reason why we think that travel blogging is the best travel job of all. These are all jobs that can be done from your computer so long as you have an internet connection while travelling. In our opinion, the absolute best way to earn money is from your laptop because it gives you the freedom of location independence. 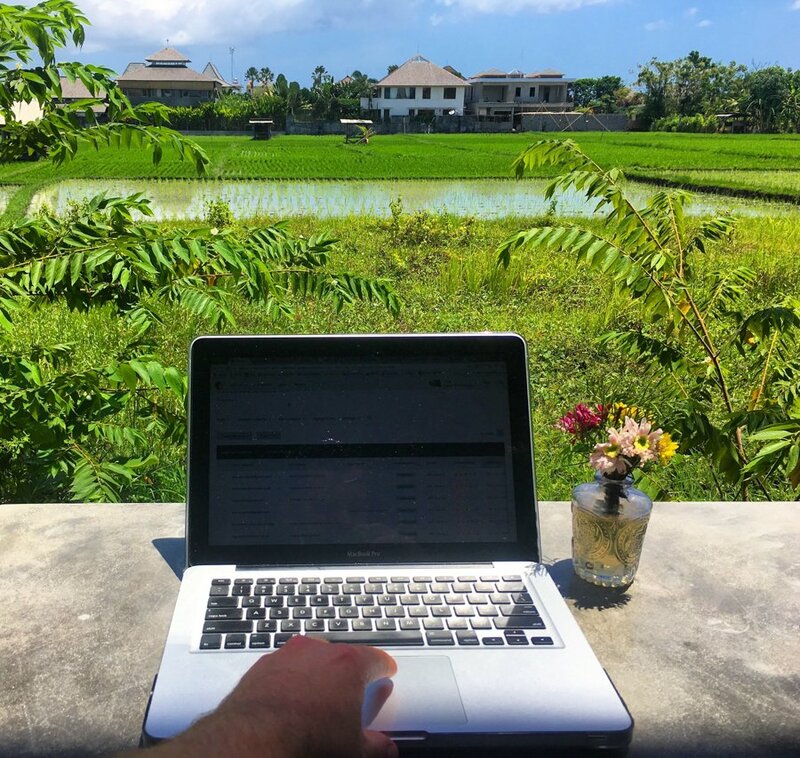 There’s simply nothing better than remote work! Hours: 5 – 40+ hours / week. If you have any particular expertise on a subject, you can make money teaching others with platforms like tutor.com. They offer over 40 subjects mostly revolving around study and test preparations, so there’s bound to be something you’re able to teach. It’s great if you’re a college student, teacher, or even a professor. Hours: Optional – Work as much or as little as you want! It’s really not that hard to find a job as a Skype Teacher online! These jobs pay up to $30 / hour and you can teach multiple classes per week. Teaching online will give you the flexibility to make money while you’re travelling and can also be a nice income supplement to other on-the-road jobs. Check out our Teach English Online post to read more about how to find work, how much you can make and what to expect from a job teaching English online. Hours: 20 – 40 hours / week. For anyone that’s a little tech-savvy, there’s a nifty job you can do from home known as a Search Engine Evaluator. There’s a handful of companies you can choose, but Leapforce is one of the best. You’ll need to pass a series of tests before you can start working, and then you just follow their searching guidelines and report back your findings. What I like most is that it’s not a traditional customer service job, so you won’t ever need to take calls or purchase any gear (like headsets), and there are no fees to become an evaluator. You can set your schedule, working as much (or as little) as you like. When you’re just starting out, expect to earn around $10 an hour, though this will improve as you gain experience. Inbound is an online community dedicated to educating marketers and provides a number of resources for success. But it’s their job board that’s the real winner. Here’s where you’ll find the best opportunities for digital marketers, paid search consultants, search engine optimization and more. Just choose “remote” in the Locations category, and you can browse what’s available. Depending on the company posting the job they often specify expected salaries, which is a good thing. Are you bilingual or at least good at correcting mistakes in your native language? Check local newspapers around the world and you’ll almost always find job postings for translation and editing. Although most jobs are looking for native English speakers, there are plenty of places that will hire you as long as you have a good grasp on written English and English grammar. Try Upwork, Gengo, Freelancer.com or Lingosaur to find job listings. These jobs aren’t just for English speakers though, there are multilingual newspapers & magazines in almost every country. If you’re a super fast typer, you can make money as a transcriber. The toughest part about this job is that your grammar needs to be on point, but if you’re good, you’ll have plenty of work available. There are plenty of sites online to get jobs transcribing, like FocusFWD.com. To apply you just need to download and complete a transcription test, and if you meet their quality guidelines, you can start accepting projects. Companies like Focus Forward pay per audio minute, ranging from $0.40 to $0.65 as a rough average, but realistically you’re only going to be able to type out 15 to 20 minutes of audio in an hour. If you have some people skills and don’t mind spending time on the phone, you may consider becoming a customer service rep. With this job, you can work from home, but you will likely have set hours. Apply for a call center job with Alorica, and you’ll get to work from home, taking customer service style calls from a wide range of clients. 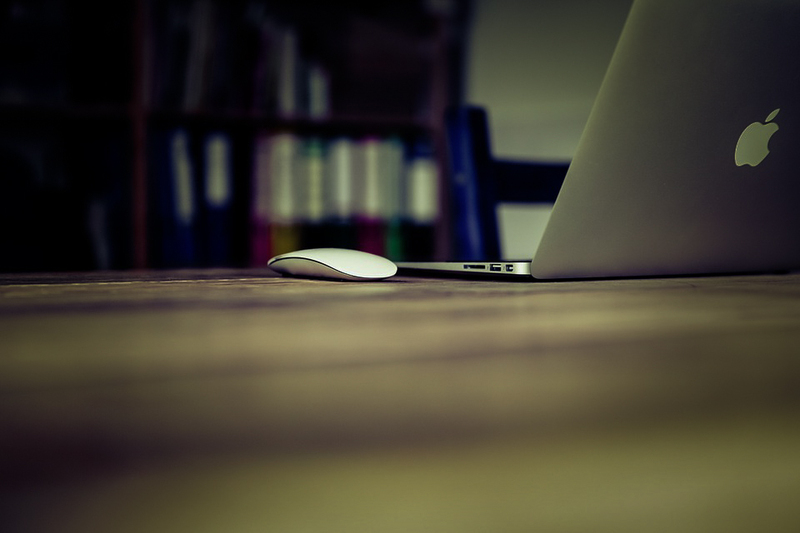 Depending on the client, you may also need to respond to live chat or reply to emails. They’ll also pay you during the training period which is a nice touch, but the only downside is you have to be in the United States. Hours: 20 – 40+ hours / week. For this job, you’ll have to have a lot of experience as a developer, but it can be a lucrative travel job. We know because we pay the developer of this website A LOT of money! StackOverflow is the largest online community for developers. This is a place for learning, one where you can advance your skills and also find your next opportunity. Just head to their jobs page and click the filters. Under perks, you want to check the box marked “offers remote.” At the time of writing, there were 69 jobs available for remote developers, across a range of different programming languages. This may sound funny, but we actually know of some people who have made decent money creating cool travel shirts and selling them. You can create your own designs at lots of different shops around the world, then sell them on the streets, at your hostel or online. There’s one guy who was interviewed on TheHustle.co who earned $100,000 in just 5 months from selling t-shirts on teespring.com! There are plenty of companies out there who will hire web designers for a good income. If you have web design experience, you can check out sites like 99designs.com, coroflot.com, crowdsite.com and dribble.com to find work. Basically drop shipping is a very low risk way to start up a business selling products online. Traditionally if you wanted to do this, you would have to create a product, market it, store it in a warehouse and ship it out yourself, while having to deal with refunds, returns, etc. Finding a manufacturer will be one of the hardest things to do. Simply typing “drop shippers” into Google won’t give you very good results because only big drop shipping manufacturers that do business with big drop shippers will have the money to invest in SEO (search engine optimization), which allows their website to be seen first in Google. It’s vital that you find a good drop shipping manufacturer if you want to earn a reliable income as a drop shipper. 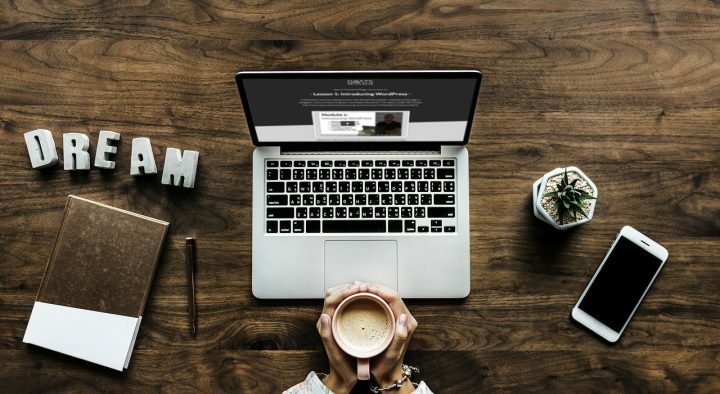 A website called www.abetterlemonadestand.com has put together this great list of drop shipping suppliers that can help you get started. How To Get The Job: Start playing the stock market. To earn money, you need to have skill. You don’t actually have to be a travel blog in order to earn a bit of money as an affiliate marketer. If you use and love a product or service, why not recommend it to your social media friends, email list and WhatsApp contacts? If they end up making a purchase through your affiliate tracking links, you can earn a commission. The best part about affiliate marketing is that once you have something in place, you can earn money while you’re sleeping. This blog currently earns around $5,000 per month from affiliate marketing, meaning we earn that $5,00 without having to do anything! Get paid anywhere from $5 – $40 selling your services on Fiverr. You can pretty much get hired to do anything, from translation and dictation to design and photo editing, you’ll find a job on Fiverr.com. We met a guy in Mexico who was making good money helping companies organize their finances in spreadsheets. Depending on the company, you may not need to have a degree, but just a good understanding of spreadsheets and mathematics. How To Get The Job: Contact bloggers and websites to pitch your services. Email them with corrections and tell them you’re able to edit quickly. There are millions of blogs online and many of them need an editor. We have editors on Goats On The Road that go over our content before it’s published to make sure everything is okay. Editing jobs can pay anywhere from $7 – $40 / hour and they can typically be done from anywhere in the world. This job is particularly good if you already have a blog because you’ll have already honed your writing skills and you’ll have an audience to sell to. There are a few ebook authors out there earning six-figures or more from ebook sales, but generally they have a lot of ebooks. I know one person who makes a decent income and produces an ebook every couple of weeks! He basically writes posts and instead of publishing them on his blog, he sells them in PDF format on Amazon. When I sell my ebooks, I write 10,000+ words in Google Docs, then I head to Canva.com (a free online design tool) and design the book to look professional using their templates. I then sell the books (or give them away for free) on this blog and on Amazon. This is definitely one of the most lucrative travel jobs on this list and it’s another one that goes great with having your own travel blog. You don’t necessarily have to own your own blog to earn money selling courses though. 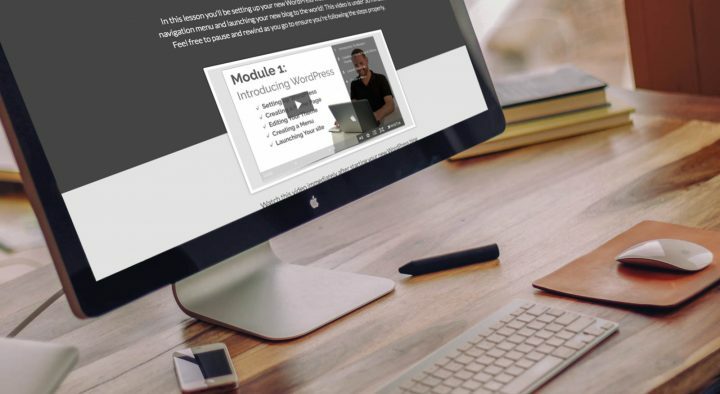 You can create and sell your training on websites like Teachable.com and Skillshare.com and they will display it to their marketplace. Check out our course for new bloggers! That way, you’re essentially using their audience to sell. But if you own your own blog, you’ll likely sell far more copies of your course because people will already know and trust you by reading your blog. We have one course for sale currently for $99, but we also offer it for free to people when they start a new blog. Our course is relatively cheap. Many similar courses online go for as much as $1200! Just think, if you can create an epic resource that walks people through a step-by-step process to achieve a goal, they’ll be happy to pay for that. If you charge $300 / course, then you only have to sell 2 courses per month and you’ll be able to live in the worlds cheapest countries full-time. For this job, you will need to have a considerable amount of experience with blogging, social media and all things that go along with the industry. If you already have a blog and have experience, you can earn a pretty good living from this. We know because we pay our blog managers between $1,500 – $3,000 per month depending on their work duties and we know of other websites that pay much more. A copywriter is when you write content for someone else’s blog or website and it’s one of the best travel jobs out there. There are literally thousands of websites looking for people with experience in thousands of different fields to write posts for their blogs. You don’t have to only write about travel either. There are parenting, mechanic, tech, fishing, outdoors, sports and many other types of blogs who are looking to pay writers to write for them. We have personally written for dozens of blogs as freelancers and have been paid between $75 – $500 per post. At one time, we were able to earn over $3,000 per month from freelance writing alone. Having a blog can help you get freelance jobs because you’ll already have an online portfolio that you can use to pitch new websites. The best way to earn a full-time income as a copy writer is to try to become a columnist on a website. You may get paid a bit less per article, but if you can land a job that guarantees you 5 articles per week at $100 each, you’ll be earning $500 / month from that one client. I’ve separated freelance writing from copywriting because it’s actually quite different. I like to call a freelance writer a person who writes in print, while a copywriter is someone who writes online. To become a freelance writer, you may have to have a bit more experience, but the pay is higher. It’s generally harder to land print writing jobs. Try to contact your own local newspapers and magazines to pitch them. For travel, airline magazines and guidebooks tend to pay their writers the best. This is a difficult job to earn money at. If you have a blog, once you have it online, you may just find that a lot of companies will start contacting you and asking you to buy your photos. These opportunities rarely come, but they can be lucrative with some photos selling for $500+. There are also lots of websites where you can post your photos and hope to find buyers. If you don’t have a blog, you can post your photos up on sites like Shopify and iStock and ShutterStock and if they’re good, you may be able to sell some. This one is a lot more lucrative than selling photos and if you have a YouTube channel, you may find that you get offers frequently. We’ve sold a few clips and we generally charge $100 / second! That makes a pretty good chunk of change when you’re selling 8 second+ long clips! Finding Some Cool Travel Jobs? Please Share! Once you become a pro at social media, you can help other brands and companies grow and maintain their social media accounts. We have some clients who pay upwards of $1500 / month for this service. We pay our social media managers around $500 – $1000 / month to manage our accounts. To find a job, you can cold call or cold email potential clients, or if you’d like to manage social media for a travel blogger, you may want to create a posting in a Facebook group or community that has many travel bloggers. Many bloggers (including us Goats) need virtual assistants. These jobs don’t pay well ($5-$10/hour), but they’re a good way to earn a side income and hone your blogging & social media skills. For most jobs, you’ll need to actually be a social media expert, but for some tasks that bloggers require you may not need previous experience. If you have skills, be sure to make them clear when you apply for the jobs. Look at the bottom of this post and you’ll see a Pinterest pin that was created on Canva.com. It’s a pretty easy service to use. Learn how to create cool Pinterest images on Canva and you can get hired by bloggers and brands to design Pinterest images for them. They may only pay $3 or less per image, but once you have a template you can bang them out pretty quick. Platforms like UserTesting are great because they allow anyone to sign up and start supplying feedback on websites. It’s free to join, and you can start making money as soon as your application is accepted. The way it works is that clients pay UserTesting for feedback, who then source the feedback needed from their testers (what you’ll be doing). Most tests take about 10 to 15 minutes to complete, and you’ll get paid anywhere from $3 to $10 per test. You will need a good quality headset with a good mic for your audio files to be accepted. There are many great YouTube channels and videos online that include fitness classes. You could start running your own fitness classes online by recording videos of your classes and posting them on YouTube. You can also do this by posting them on premium video hosting sites like Wistia, and making the students pay to access the content. You can also earn money as an online fitness instructor by setting up a Patreon account and asking your students to pay you a monthly fee to publish a set amount of videos each month. Just like there are for fitness classes, there are many great YouTube channels and videos online that include yoga classes. 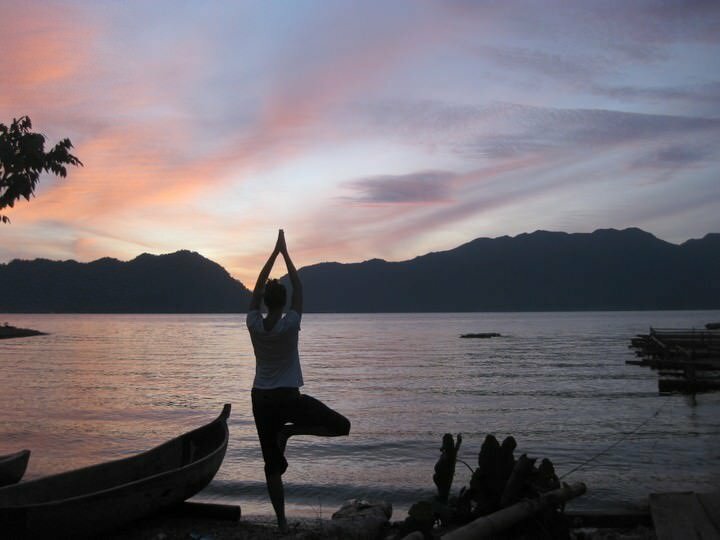 You could start running your own yoga classes online by recording videos of your classes and posting them on YouTube. You can also do this by posting them on premium video hosting sites like Wistia, and making the students pay to access the content. Lastly, you can also earn money as an online yoga instructor by setting up a Patreon account and asking your students to pay you a monthly fee to publish a set amount of videos each month. Hours: Many hours to create, fewer once app is ready and on the market. How To Get The Job: Learn how to create an app using Google Developers Training, Weebly or Udemy market & sell in app stores. This is a tough one to do because first you’ll have to learn how to design and create an app. But it’s not impossible. There are many great tutorials online about how to create an app and sell it in the AppStore or Google Play. We know of a travel blogging couple who created an amazing travel budget app called TrailWallet and they make a good amount of money by selling it online. This is kind of like saying: “Become a famous actor”, because it really does take a lot of special skills to make it on YouTube, but the highest paid YouTube creators earn millions of dollars per year, so it could be a great place to spend your time. If you’re creative, funny and like to edit and record video, consider starting your own YouTube channel. If your channel is all about travel, then you could easily produce content every day as you travel the world. Hours: 40+ hours / week Many hours to shoot & edit. Many hours to grow & market a channel. Fewer once established. Companies love Instagram and their willing to pay people who have a large following to come to their destination, hotel or tour and take photos. Instagrammers can make a great living by posting photos through brand ambassadorships, sponsored posts and giveaways. Hours: 3 hours to set up account, write a massive GoFundMe pitch and wait. How To Get The Job: Open GoFundMe create a pitch and wait. I wouldn’t really call this one a job, but if you’re struggling to pay for your trip and you know a lot of people who may be willing to fund your travels (ie: family, friends, social media followers, blog followers etc.) then you may be able to earn enough money to pay for a few months of travel by starting a GoFundMe for yourself! If your travels have a purpose, like volunteering or making the world a better place, you may find that it’s easier to get funding from people who don’t know you. Hours: 20+ hours / week. If you think that this job is too much of a gamble, then you’re not a good enough poker player! There are plenty of people who can make a relatively reliable income by playing poker online and it’s a job you can do from anywhere. Actually trying to live on poker money will always be a balance of risk to reward, but there are some travellers who travel entirely off of online poker earnings. Hours: 10 – 40 hours / week. That’s right. There are plenty of companies out there that will actually pay you to watch ads. This is a great online job that you can do from anywhere. You’ll never get rich watching ads, but you can make a bit of side-income to help supplement your travels. So, how does it work? You head to one of the higher paying PTC (Pay To Click) sites like ClixSense, NeoBux & PaidAdverts, sign up and then start earning money online by watching advertising videos, clicking on ads and sending user feedback. Similar to watching ads, many companies will pay internet users to complete their surveys. Internet surveys offer businesses and advertisers useful data to help them understand their potential clientele. If you Google: “get paid to complete surveys”, you’ll probably get a thousand results. Unfortunately, many of these results are complete scams, so you do have to be careful. As surveys take a bit more time than watching ads, it’s more difficult to make a lot of money from this strategy, but there are reports of people earning over $1,000 per month by completing surveys. Hours: 10-40+ hours / week. There is a lot of money to be made from creating profit positive ad campaigns using Facebook and Google ads. I’ve been working on creating ads on and off for the last couple of years and I’ve found it very difficult to make money from it, but if you’re an expert on ad copy and the Facebook Ads Manager dashboard, you can sell your services to companies who need better ad managing. How To Get The Job: Check Fundrise if you’re American. Talk to your local investment bankers. I know I know, this one pretty much goes against everything many nomads think of. Many of us sell our things to travel and don’t consider buying numerous houses in order to earn money. But I’m not talking about the more traditional style of real estate investment. You don’t have to be rich for this one. If you’re American you can get started with less money on sites like Fundrise. You can get started with a minimum investment of just $500, and Fundrise does all the heavy lifting for you. Through the Fundrise Starter Portfolio, your money will be split into two portfolios that support private real estate around the United States. You can earn an income through quarterly dividend payments and the potential appreciation in the value of your overall shares (just like the stock trader from earlier in this list). Payouts typically come in the form of interest payments and property income (e.g. rent) and you’ll have to pay Fundrise 1% in management and investment advisory fees. There are quite a few companies these days that will actually pay you for downloading apps on your smartphone or computer. One of the main ones is called MobileXpression. You download the app on your iphone or Android, and once you’ve installed this app on your smartphone for one week, you get to play an instant rewards game for a prize (everyone wins something). Some users can win a $25 Amazon gift card, but some of the other prizes include iPads and Samsung TVs. Hours: 5-40 hours / week. If you’re living or travelling in the states and looking for hourly gigs, try signing up for ShiftGig or HoursTracker. The platform connects workers to gigs in a number of industries, including food service, hospitality, retail and customer service. All you have to do is download the app and send in your application. Then the Shiftgig team will review it and if you pass, you’ll be able to search for “shifts” in your area. While the app is currently available in the US, there are talks of expanding to international markets which would be great for travellers who aren’t currently in the US! These are jobs that are typically very popular for travellers, but they require you to be somewhere in person. The hours for these jobs will most likely be set and not as flexible as some other ones on this list, but for people who don’t want to work from their computers and don’t mind having a set working schedule, these are great options! How To Get The Job: If you’re already a teacher, ask the students parents. Otherwise, try posting flyers in schools and local parks. 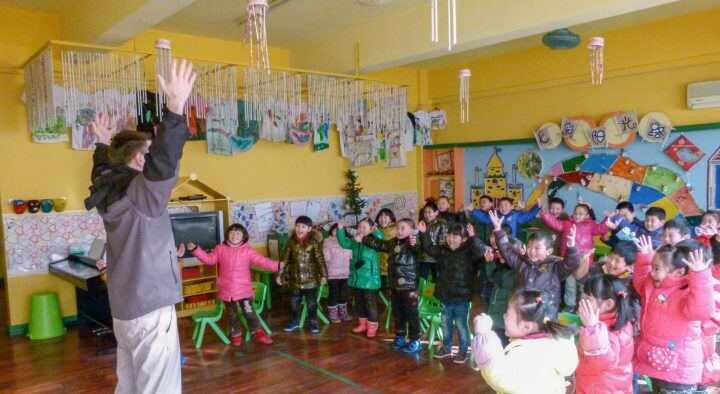 Once you find a job teaching English at a school (jobs in China typically pay $1,500 – $3,000 / month), you can also find side-jobs tutoring your students. Many parents are happy to pay good money to give their child a bit of extra time with a teacher. Tutoring jobs typically pay $30/hr and because most teaching positions in China only require 20hrs/week, you can find time to tutor! If you end up getting a lot of tutoring jobs, you could even quit your main teaching job and become a full-time tutor at $30+ / hour! Just be sure that you’re still able to renew your working visa so that you’re employed in the country legally. This is definitely one of our favourite ways to not only earn a little bit of income, but save a ton on accommodation costs! House Sitting almost seems too good to be true. There are luxurious homes all around the world with loving pets that you get to enjoy for free. All you have to do is SIGN UP! We’ve house sat in Grenada, Costa Rica, Barbados and Canada and we love it. Sometimes we get a bit of pocket money for our services, but usually it’s just a free house and a free car to explore with. Check out our post all about house sitting jobs for more about this amazing job and to sign up for the biggest and best house sitting website online. Hours: Optional as your own boss. 20 – 40+ hours / week. How To Get The Job: There’s a lot to opening a business overseas. Click the link below to learn more. Looking to go a more traditional route to earn money? Our friend Darryl combined two of his passions, cycling and coffee, and opened his own business in paradise. It earned him enough money to live in the Caribbean and take the odd trip each year! Don’t miss our post: How To Open a Business Overseas to read more about what it takes to build a successful brick and mortar business abroad. Similar to being a bartender, there are plenty of restaurants around the world that are looking for English-speaking waiters. You don’t have to be certified for this one and while prior experience will help you land a job, it’s not always required. Typically you’ll be paid a small salary, plus you’ll get tips and sometimes free food as well. A lot of the time, these types of jobs will require some kind of previous experience, but not always. If you’re not leading groups on dangerous excursions like white water rafting or rock climbing, you may find that you can land jobs with little or no experience. There are also sometimes tour guide jobs that simply involve being the assistant to the more experienced guides. It’s worth noting that taking this job could be stealing it directly from a local, so it’s best to contact a local company and find a job that can’t be filled by a local person first. This applies to many of the jobs in this book, but particularly guiding is a good source of income for local people. Selling paintings isn’t the most lucrative travel job on this list, but if you love art then it could be right up your alley. Even if you can just earn enough to help supplement your travels by selling your paintings. We once met a guy who funded his entire trip through South and Central America by selling his art. You’ll need to be creative to earn money with this one, but it is possible. How To Get The Job: Contact Airbnb owners or people who rent their apartments out on nightly or weekly basis. Manage Properties: Sometimes people own numerous Airbnb in a city, but they don’t have time to manage the check-ins and check-outs. Contact hosts on Airbnb and ask if they need help for a fee. If you have experience managing properties, great. In many cases you’ll just need people skills to meet and check in the guests. You might be surprised at how much you can earn as a dog walker. If you’re living in one city for a while, you can really build up a clientele. Post up some signs in a town with lots of dogs and charge $5 per dog, per hour-long walk. If you get a group of 5 or 6 dogs that all get along, this can earn you good money. We met one guy in Mexico who walked about 8 dogs on the beach every day and was likely earning a good amount of money from it! There are plenty of villas and luxury mansions around the world that have pools. These pools need maintaining! If you know how, post up some signs and see if you can find work. If you don’t yet know how to maintain a pool, go on YouTube and start researching. It shouldn’t take you more than a week, plus a bit of practice, to get good enough to be hired as a pool cleaner. Finding Some Cool Travel Jobs? Share & Pay it Forward! Are you really good at a skill that many people want to learn? Are you a web designer? A home designer? A social media expert? A good dog trainer? Whatever you know, you can monetize it by teaching others. You can find jobs teaching by either posting up signs at local cafes and hostels, or online. Because videos are so valuable, you may also find that companies contact you and ask you to create a video for them. These can pay between $500 – $5,000 each. If you have video editing experience, you may be able to contact travel websites, airlines, hotels and tour companies and offer them to make a video for them for a cost. I’m not sure how I feel about this one as a viable travel job as, like guiding and selling art, it may be directly taking money out of local’s pockets who need it more than you, but if you’re in an area where there aren’t currently any vendors, or you manage to actually hire locals to help you sell, then this could be a great travel job. Believe it or not, it is possible to make a decent income for travel by working the festival circuit and you don’t need to head a main act either. There are jobs needed for installations, event staff, and food vendors too. Festivals tend to hire plenty of staff before, during and after the events and some travellers have been able to time their travels through the major event circuits in Australia, New Zealand, Canada and the US to have near constant work throughout the year. There are seasonal jobs that need fishermen on deck for deep sea fishing expeditions. These pay surprisingly well. A childhood friend of mine was actually earning an insane amount of money as a fishermen off the coast of Australia. To land this type of jobs, you can check out websites like BLS to find postings. Also Indeed.com and FindaFishingBoat.com have some listings. There are quite a few seasonal fishing jobs in Australia, China, Japan and Alaska. Another great option for travellers. As a BC Native who spent a lot of time in Canada’s ski resorts, I know all about the job opportunities available for travellers in this sector. 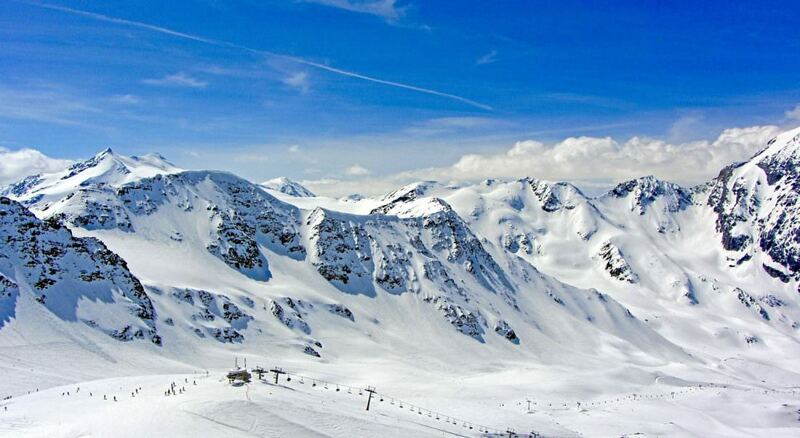 If you’ve visited a ski resort in Canada, you may have noticed that pretty much everyone working there is from Australia. But the jobs aren’t reserved for our Aussie friends and there are also jobs available in other snowy nations like Sweden, France and Switzerland. If you know how to play an instrument, why not start playing on the street and see if people start offering you money for your tunes. This can actually be quite lucrative in major cities and it’s a great way to earn some money while making the people around you feel good. Who doesn’t love the saxaphone player in the New York subway? I actually saw quite a few travellers doing this in Mexico City. Not to be confused with street mucisian, the specialized skills of a street magician can really impress passers by enough to pull out their wallet. For this one, you’ll definitely have to be good, because nobody is going to give you money to pull a quarter from behind their ear. Hours: 20-40 hours / week. As an avid angler myself, I was was a bit better of a fly fisherman I would love to try this job out. I prefer to hire a fly fishing guide, rather than fail at being one! I had one fly fishing guide in Argentina who had been earning a decent income for 20 years as a fly fisherman and travelling domestically all around the south of the country, as well as some guiding in the US. Hours: 40+ hours / week. I’ve already included house sitting on this list, but you can also get hired as a pet sitter. Some pet sitting jobs may be just like babysitting jobs, where you go and visit the animals while the owners are at work. These jobs can pay surprisingly well. You can still find these types of jobs on TrustedHouseSitters.com (jobs here are typically unpaid), but you could also find work by posting up flyers in suburban neighbourhoods. I have one friend who takes dogs to his own house (rather than staying in the pet owners house) when the owners go away. He has had as many as 12 dogs at his house at one time and made a decent income from it. There are other people who have decided to open a home pet day care company and have been able to earn as much as $5,000 / month by having numerous pets subscribed to come 5 days per week month after month. As a traveller, your best bet is to look after dogs in the owners home. To find this work the best place is still online house sitting networks, flyers and Facebook communities. You may not earn any money from doing these jobs, but your life will be rich in experiences. Some of our best travel experiences have come through the moments when we had the opportunity to give back. Here are some of the best volunteer jobs for travellers. Okay so this job isn’t going to earn you money, but it will earn you some satisfaction knowing that you’ll be giving back. Check out sites like WorkAway.info and they’ll help place you in a job. Sometimes you can also find volunteer teaching jobs posted at cafes, restaurants and hostels. Volunteering is a good way to get experience for paid teaching jobs down the road. This method is becoming more and more popular amongst backpackers the world over. In most cases, travellers show up at a hostel and instead of just checking in, they offer their services and skills around the place in exchange for free accommodation and often food and wages as well! Not only is this a great way to fund your adventures, but it’s also a great way to meet new people and learn about cool new travel destinations. This one has a funny name but it’s a very popular travel job. Working on organic farms can be a very fruitful way of adding to your travel piggy-bank while on the road. WWOOF (World Wide Opportunities On Organic Farms) is a great organization that originally started in England in 1971, but can now be found from Kenya to Kazakhstan, Australia to America and everywhere in between. Hours: 10 – 40+ hours / week. How To Get The Job: Find job listings on SPCA website or contact local SPCAs while you’re travelling for volunteer work. If you love animals, go help out at the local animal shelter while you’re on the road. Mostly this will be volunteer work, but if you have a skill you may get paid. We’re currently living in Grenada in the Caribbean where they have a GSPCA that accepts volunteers all the time. They also hire temporary vets and vet techs for pay and offer them room and board as well. We’ve met plenty of people who have travelled around the Caribbean and around the world for free by volunteering on sailboats. Oftentimes, sailors need a crew to help them with longer crossings and the day-to-day job of captaining and maintaining a boat. If you want to try your hand at being a skipper, you can check out websites like the ones listed below to find work. Perhaps one of the most rewarding and fulfilling jobs on this list, if you’d like to give back to less fortunate communities while travelling and living abroad, then NGO work may be the best place to start. Check websites like Interaction.org and AidBoard.com to find listings. Keep in mind that working for these organizations is a diffucult, full-time job and it takes a long time before you start earning any real money from it, but your life may be richer in experience by taking a position. If you’re American, you may want to consider joining the Peace Corps. These jobs, while technically still available for everyone, will require some prior training and certification before getting started. Some of the training can be completed in just a few weeks, but you won’t be able to land a job without it. The easiest jobs to find are English Teaching jobs and you don’t necessarily have to be first-language to find work. Check out Our Teaching English Section and we’ll help you get certified and find a job! We personally taught English in China for a year and absolutely loved the work. We only worked around 20 hours per week and had an amazing time getting to know our students and our new friends in China. Most jobs these days will require you to have a degree. It doesn’t have to be a degree in teaching or language, but almost all countries require some sort of degree in order to land the legal working visa. In many cases though, you can volunteer as a teacher and get free room and board. To find postings, check cafes, hostels and job boards in the countries you’re travelling in. We found our English teaching job posted on a bulletin board in a hostel! This idea is a relatively new one to us but our friend, Yara, over at www.heartofavagabond.com is a master at it. An au pair is basically a nanny and there are plenty of jobs available all over the globe. Everyone could use a little help around the house and being an au pair is a great way to sustain your travels. Jobs can pay very well and while you’re working, all of your accommodation and food is usually covered. Perfect for big savings! Check out our post Earning Money To Travel As an Au Paire to read all about how to find a job as an Au pair, how much money you can make and what the job entails. You might be surprised to learn just how easily you can earn money and enjoy free accommodation around the world. An oldie but a goodie. There are a ton of jobs bartending around the world. It’s handy to have some bartending experience but it isn’t always obligatory. 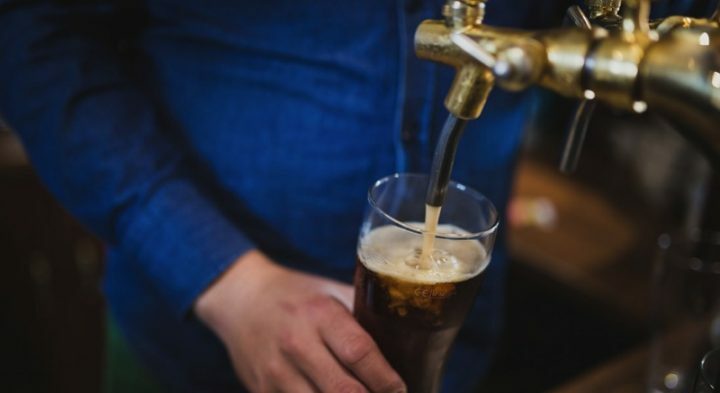 If you’d like to go the official route, check out sites like Bartending Online and start studying for your bartending certificate or head into your favourite bar on the road and ask for a job. This is one of the most lucrative jobs you’ll find while travelling. 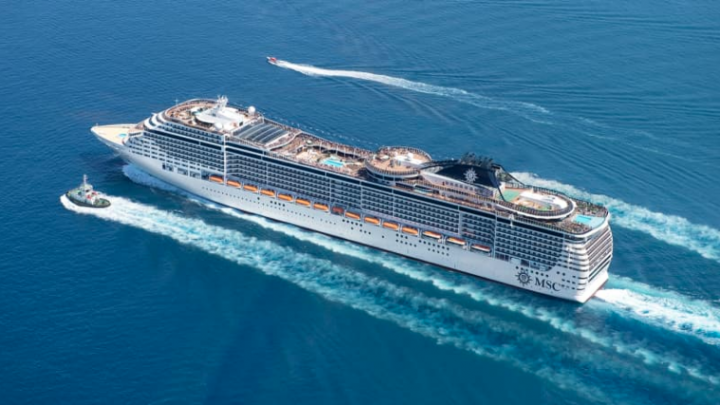 If you have a degree and some experience in hospitality, you should have no problem finding a job aboard one of these sea-bound giants. Degrees and experience aren’t always obligatory, but they definitely help. Cruise ships are an excellent option for those who love money and the open seas. Just ask Wandering Earl who has funded most of his travels from the incredible earnings he’s made on cruise ships. 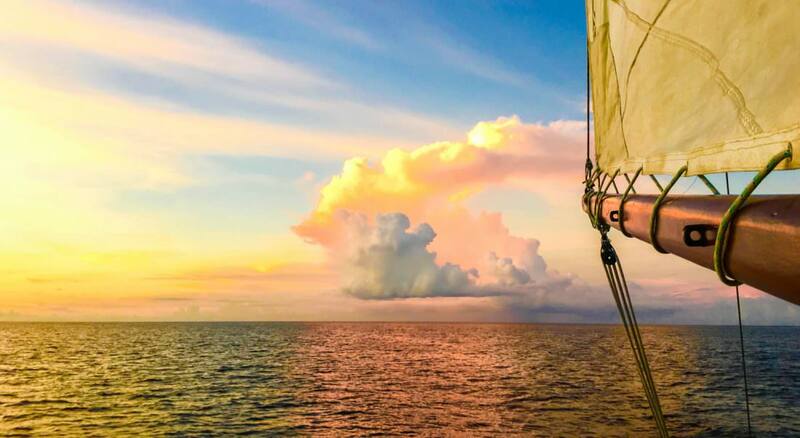 It’s no walk in the park and you will definitely have to be prepared to live at sea for a few weeks at a time, but when you’ve finished a stint at sea, you can sail away with a pocket full of cash to travel the world with. Don’t miss our post: How To Make Money & Travel The World as a Cruise Ship Worker to read more about how to find work, how much you’ll get paid and what the job entails. You might be surprised at just how easy it is to get certified as a masseuse. Take the courses in Asia for very cheap, build up a clientele and you could be earning enough money to save for travel in no time. Plus, the job is a pretty great workout. Don’t miss our post: How To Make Money & Travel As a Masseuse to read more about the job and learn how to get certified, how long it takes and how much you can actually earn as a full-time masseuse. Hours: 30 – 40 hours / week. This is probably one of the best travel jobs out there. Loads of dive shops around the world are looking for native English speakers to help lead their dives. They may not pay the best, but who doesn’t want to make the coral reef their office?! 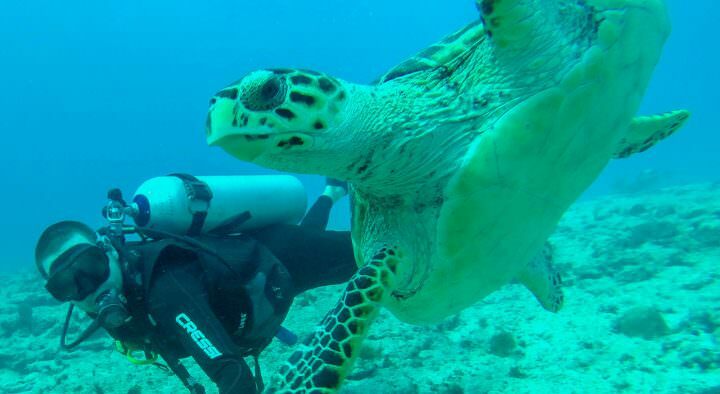 See Also: How To Become a Dive Master & Earn Money For Travel to learn more about how you can get certified, how to find work and how much you’ll be paid as a dive instructor. Australia has long been a backpacker’s working paradise because of the relative ease of obtaining a working visa in the country. Once you have your visa, you can find any kind of job under the sun. Working in Australia (or New Zealand) is a great way to work abroad (if you’re not an Aussie or Kiwi), and still earn some money for travel. Plus, the jobs pay pretty well! Once you are a trained hair stylist, you can work anywhere in the world. This is a great job to earn a decent hourly income while enjoying a life of freedom, travel and adventure. Dariece had her haircut by a lady here in Grenada who had been using her profession to live and travel abroad for 20 years! 74 Down, 27 To Go! Feel Like Sharing? This isn’t only a great way to earn money travelling, it’s also a good way to stay fit while you’re living abroad or on the road. Definitely you’ll have more success if you base yourself in one place, rather than travelling full-time, but if you’re able to build up a clientele in one city, you can make good money as a fitness instructor. This is one of the most popular travel jobs and there are many places where it’s easy to find work. Head into hotels, yoga studios and wellness centers to see if they’re looking for, or would like to consider running a yoga class on their premises. 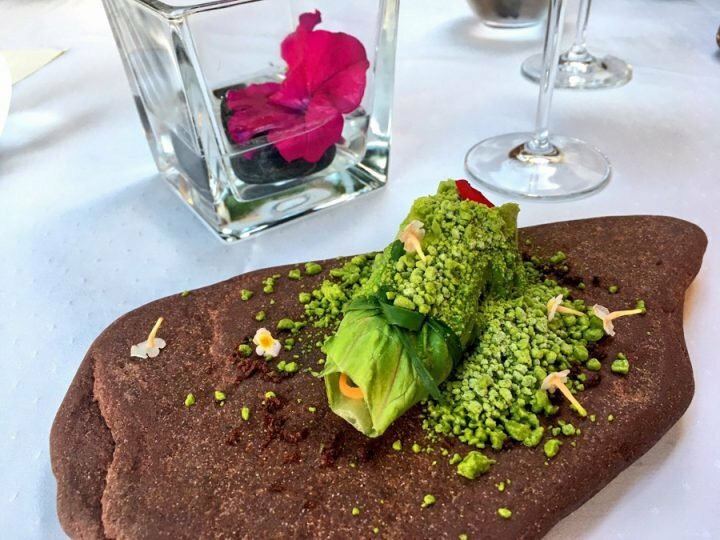 This one will likely take some previous experience, but if you walk into restaurants and ask the head chef or manager if they need another chef, you may find that you can find work quite easily. If you don’t have experience but are a quick learner and eager to be taught, you may be able to find work at hostel restaurants and cafeterias. If you love surfing and have a passion for sharing it with others and teaching, you may consider becoming a surf instructor. In places like Bali, Hawaii, Fiji, Mexico and South Africa where there are countless surf shops, you may not have a difficult time landing a job. You’ll need to have a lot of experience to get a job delivering boats, but it can actually be a great way to earn income and if you love sailing, you can sail someone else’s boat from one place to anohter and earn money. I met a guy in the Caribbean who was earning a lot fof money by delivering luxury yaughts from one port to another. He had built up a clientelle and beause of this, he was able to travel, while earning a lot of money and living on expensive yaughts! Car rental companies, car manufacturers and RV companies sometimes pay people to deliver cars back to the main office from where their customers dropped them. Most of these companies do hire professional drivers on a full-time basis, but you can also find work as a freelancer doing deliveries on sites like DAS Auto Shippers and RV Transport hire drivers. HitTheRoad.ca is a well known Canadian company that offers mostly long distance, one way, one trip driving contracts for cars, while AutoDriveAway has listings for the USA. This is definitely one of the most noble travel professions and you can do it as a volunteer or as a paid employee. There are too many places in the world in dire need of medical professionals, so if you have experience in this field, it can be a great way to travel and earn money (if you’re not already doing so). I’m not sure how this one appears so late in this list! This is definitely one of the best travel jobs in the world. You’ll have to complete an airline-provided training course (usually around 5-6 weeks long) and you’ll have to get a Certificate of Demonstrated Proficiency, but after that you’ll have landed one of the coolest travel jobs in the world. According to Time.com: The median salary for a flight attendant in May 2016 was $48,500, according to the Department of Labor’s Bureau of Labor Statistics. PayScale estimates the average pay for a flight attendant is a bit lower — landing around $39,000 a year. The range in flight attendants’ salaries depends on their level of experience. Check this page for job listings. If you are a pro with the paddle, you may be able to land a job as a kayak instructor at an adventure outdoors company overseas. In Canada, there are plenty of places where they’re always looking for new instructors, and in popular kayaking destinations like South Africa and the US, you can often find work either as a volunteer or on a paid salary. Another very specialized travel job, this one can actually be quite profitable and because it’s so specialized it’s not as hard to find work, as long as you’re looking in popular kitesurfing locales. 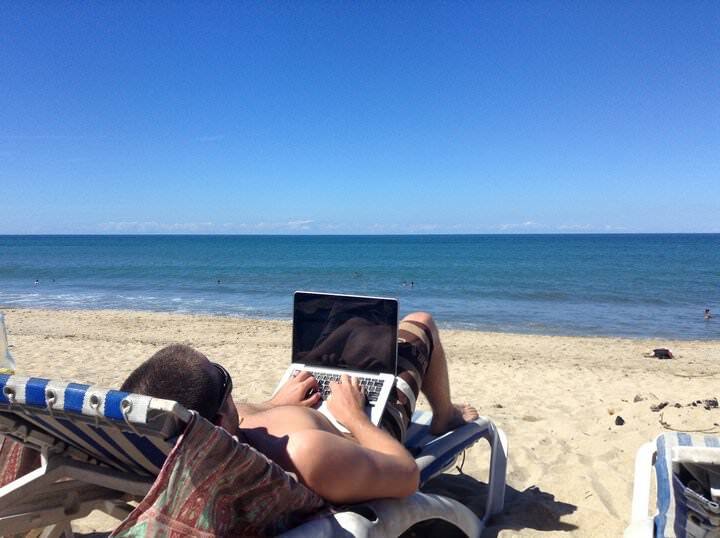 If you have extra kit, you could also try to instruct as a freelancer on the beach, but be careful because it’s illegal to solicit unregistered business on many beaches around the world. I know I already listed “work in ski resorts” on this list, but that was mostly for jobs working on the lifts and they don’t require any previous experience. 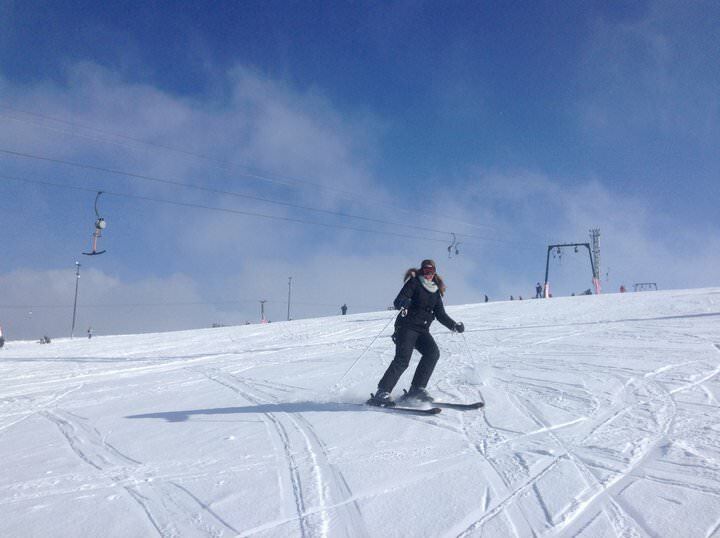 If you’re a great skiier and have teaching experience, you may be able to land a good paying job as a ski instructor. If you’re an expert captain, you can run courses on sailing from your own sailboat. You’ll need to complete your training and pass the ASA certification test which includes knowledge and skills assessment, safety knowledge, ability to communicate on the water, and 3 written exams. Instructors must also be CPR and first aid certified. Because this is often a government paid job, you will definitely have to have a legal working visa in the country in order to land work. If you want to try your hand at firefighting in your home country to save for your next big trip, it could be a great job that’s both heroic and rewarding. According to some fire fighters in the US and Canada, it’s possible to make as much as $40,000 USD in 6 months as a firefighter. There are also plenty of volunteer positions available. To get hired, you’ll need to complete a health screening questionnaire (HSQ) and a work capacity test (WCT). You must complete a 3-mile hike carrying a 45-pound pack in 45 minutes or less. These travel jobs won’t require you to have any previous experience, certification or training, so they’re great for everyone. They’re all jobs that you’ll most likely have to be there in person, at least to some extent, but they’re still great options for people who have no previous training or experience. Get ready to get dirty and sweaty to earn a buck at these jobs. Easily found in Australia, New Zealand, North America and parts of Europe, harvesting and planting jobs can pay a pretty penny if you work hard enough. We’ve talked to people who have left home with no money, picked fruit or harvested wine grapes in Australia and funded months of travels from their efforts. In Canada, you can make a great wage planting trees, but you better get your rhythm down because you have to plant quickly to make big bucks in the forest. If you have a property, you could make a lot of money by renting it on Airbnb. Try to rent it on a nightly basis and you will probably make double what you do from renting it on year-long leases. While you’re abroad, you can hire a management company or ask a family member to help manage the property. How To Get The Job: Rent a property long-term and get a discount, then rent it out as a vacation rental at 200-500% the price. Nightly rates earn the most but take more time cleaning, checking in etc. If you’re staying in one place for a long time, you can rent a villa or apartment long-term (1 year or more) and ask the owner if it’s okay to sublet. In Bali, lots of people do this to make a lot of money. Yearly rentals are cheaper than monthly and nightly, so you’ll make some extra cash, you’ll just have to manage check-in, check-outs etc. When we lived in Bali, we met many people who were taking advantage of this. Some had rented for as long as 10 years to get a super low monthly rate, and then sublet the places for double what they were paying. 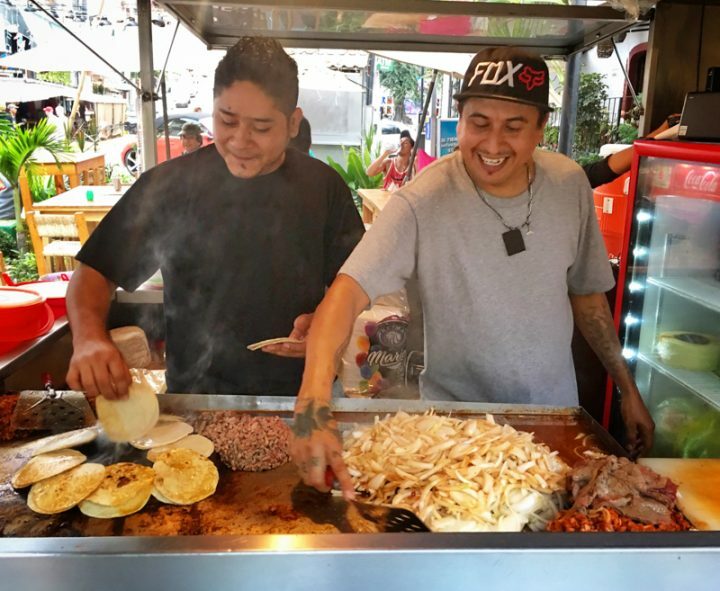 This one goes pretty well with #63 on this list because many people who use street vending as a travel job will be selling jewlery. But if you love creating jewelry and don’t want to potentially take jobs from locals, you could sell your jewelry online on your own website, on Amazon or on eBay. You can also use Facebook advertising and content marketing to drive traffic to your product on Amazon or on your website to maximize sales. This is acutally quite a common travel job for those who are business savvy and know how to sell items easily. Again if you have your own blog or social media audience, this could be quite easy. You’ll want to stuff your luggage with as much purcahsed goods as you can. Think of cool things that people would want to buy in your home country like free trade coffee, carvings, paintings and jewelry. Then bring those home and sell them to friends and family or have a sort-of garage sale where you sell beautiful art and items from your travels. I know one person who does this and has profited as much as 1000% on the items he purchased overseas. It’s a great way to earn some extra income for your next trip. No, this isn’t “the extra travel job” on the list, I’m talking about actually being an extra in a movie or tv show. You can head into any talent agency overseas and put in your application. In many countires, it’s hard for them to find foreign faces to play parts in movies so you may actually end up with a bigger paid part than expected! Don’t worry, if you are like me and you don’t think you’re the “model type”, you can still get a job overseas! Like being an extra, many companies need a bit of multiculturalism in their marketing efforts, so they’ll pay you to model for photos. We were paid to do this in China and all we had to do was sit in an office setting and pretend to answer phones and be part of the team while a professional photographer took pictures of us. The director made it quite clear that we were only hired because we were foreigners and he made many jokes about us being white. We were okay with it! We got paid! Sometimes timeshare companies actually pay you to go on their “tours”. They’ll pick you up at your hotel, wine and dine you and then drill you with why you NEED TO buy a timeshare. If you can ignore all of their pushy sales pitches, you can actually earn a little bit of side income (and enjoy free meals and day trips) this way. I talked to one time share representative in Mexico who was willing to give me half of his commission to visit a timeshare. This was going to equate to $200 in his pocket and $200 in mine, but I’m pretty sure it was illegal or at least against the rules so I declined. If you don’t want to go the shady route, you can legally and legitimitely sell time shares as a travel job. These companies have HUGE budgets and are always looking for people to sell their tours. You’ll have to have sales experience and be personable, but in some destinations where they really want a foreign face to sell their time shares, it can be much easier to find a job. One way to land a job may be to go on a time share tour (like mentioned above) and then try to meet the marketing director to apply for a job. Do you have a local band that you love and you also have experience as a roadie? You can sign-up for sites like RoadieJobs.com and check out their job listings to see if you can land some work. If you are experienced, you may be able to reach out to some local bands directly on Facebook, but don’t expect a reply back unless you know them personally. #98 – Sell Your Stuff! Potential Income: How much stuff do you have? Okay, this isn’t really a “travel job” but it’s a really big job for many of us travellers who have a bunch of clothing and furniture stored at family and friends’ homes. Next time you go back to your home country for a visit, consider rounding up all of your things and selling them. You can have a garage sale, or you can sell your items on sites like Ebay and Craiglist. Make sure you post EVERYTHING up. You may be surprised at how true it is that “one person’s trash is another’s treasure”. Again, not fully a “job”, but if you’re savvy with your credit cards reward points, you can earn A LOT of cash back and free travel from your rewards cards. Americans definitely have the best earning cards, but us Canadians and those in the UK and parts of Europe can also earn some decent points. To get started, check online for credit cards that have sign-up bonuses. You can sign up for a few of them, meet the minimum spending requirements and then cancel them. Some sign-up bonuses are good for $500 or more in free travel. #100 – Don’t Store Your Clothes, Rent Them! If you have excellent style and a wide variety of clothes in your closet, then why package them all up when you’re going on a long trip when you can rent them and earn money instead? You can rent out your clothing online through Style Lend or Rent My Wardrobe, or, for special-occasion or high-end designer clothes, try Rent the Runway. Seeing as you won’t be there to actually give and receive back the clothing, you’ll have to have a family member willing to help you manage the rentals while you’re away. Similar to your clothing, if you own a car you may be able to rent it out while you’re away. Here in Grenada, there are dozens of postings in the local groups of people who have a car and want to rent it out while they’re away. 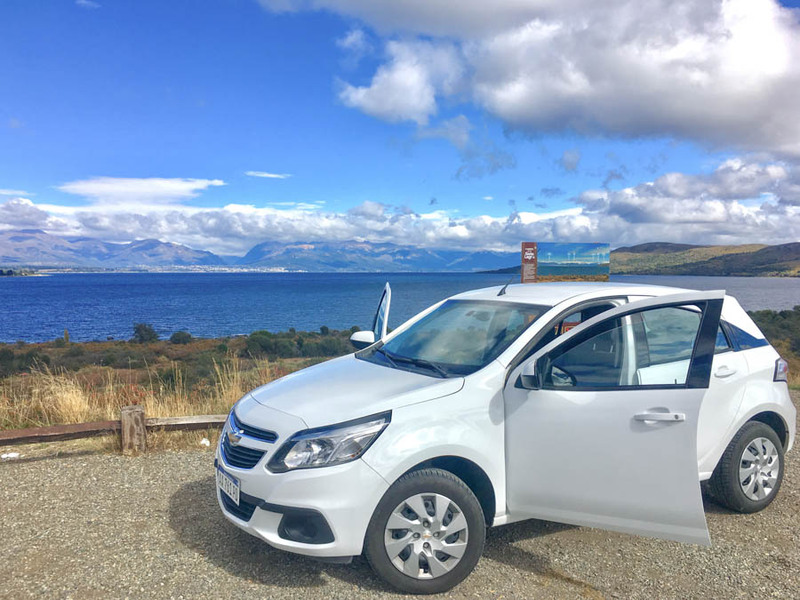 We have even rented a few people’s car here for between $400 – $600 USD per month! Particularly if you’re living in a university town, or a town with a lot of transient workers, you may be able to rent your car out. Just make sure you have full insurance and that your insurance will cover another driver. Before you claim that this isn’t really a “travel job”, we’re currently temporarily living in Grenada and we purchased a car here. When we go on our next trip, we may rent out our car and earn a few hundred extra bucks! Alternatively (only for Americans from a few major city centers)… there’s an app for that! With the Getaround app, you can safely rent out your car to people in your community and neighbourhood. The company insures your car for each trip, offers 24/7 roadside assistance and screens drivers for a safe driving record. Unfortunately, this app is only available for a few major cities in the US right now, so if you’re not from a major American city, you’ll probably have to go the (slightly more risky) private rental on Facebook route. That’s 101 Travel Jobs! Worthy of a Share Yet? Well I suppose it’s not really so much a bonus, as it is a reminder. The #1 travel job on this list and our personal favourite was travel blogging, but you can blog about anything you’d like and all blogs can be surprisingly lucrative. Hours: 4-40+ hours / week. Yes, this is a lot like the first travel job on this list, but you don’t have to run a “travel blog” in order to make money. You can literally start any type of blog about any topic and make money from it. There are people making great money from mommy blogs, cooking blogs, recipe blogs, marketing blogs, construction blogs and so much more. With our Free Beginners WordPress Video Training Course you don’t need to just start a travel blog. If you start any type of blog, you’ll still get the free course and we’ll show you the skills it takes to grow an audience and earn money, in any niche. Which Travel Jobs Are Right For You? There you have it. This is by far the longest and most exhaustive list of travel jobs online today. You won’t find a bigger or better list anywhere on the web. With almost every single one of these 101 travel jobs we’ve either done them ourselves, interviewed people on our blog about them or know someone actually earning money from them. None of these are get rich quick schemes, but if you look through this list and can’t find something that you like, you probably won’t earn money while travelling! You might as well save up from your job at home and then head out on the road once your bank account is full enough. Because there are so many travel jobs on this list and so many of them pay well, I’m confident that if you give it an honest shot, you could land a good travel job this month and start earning money while on the road. If you’re not looking for work right now, but you’re saving up for a big trip, use this list as a bit of motivation. Maybe you don’t need to save as much money as you thought! If you save enough to leave for a month or two, and then start working and earning money while on the road, you might be able to bump up that departure to an earlier date! However you choose to use this list, I hope you enjoyed it and as always, we’re here to help with any questions you may have about working and earning money while travelling the world. The post 101 Best Travel Jobs That Can Earn You Money While Travelling appeared first on Goats On The Road.